Price drop of Apple 128 GB iPad Air with wifi on flipkart from 56900 Rs to 42900, So, a must have deal for all the Apple IPad lovers, and online shopper from Flipkart. 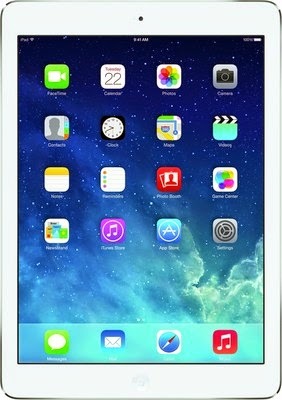 Apple Ipad air has 5 MP Primary camera for Recording full HD Videos and Latest iOS 7 which is upgradable to iOS 8. This exclusive Flipkart deal is only available for a limited time period. Don't miss any more discount deal updates.Subscribe All India Coupons below via email.